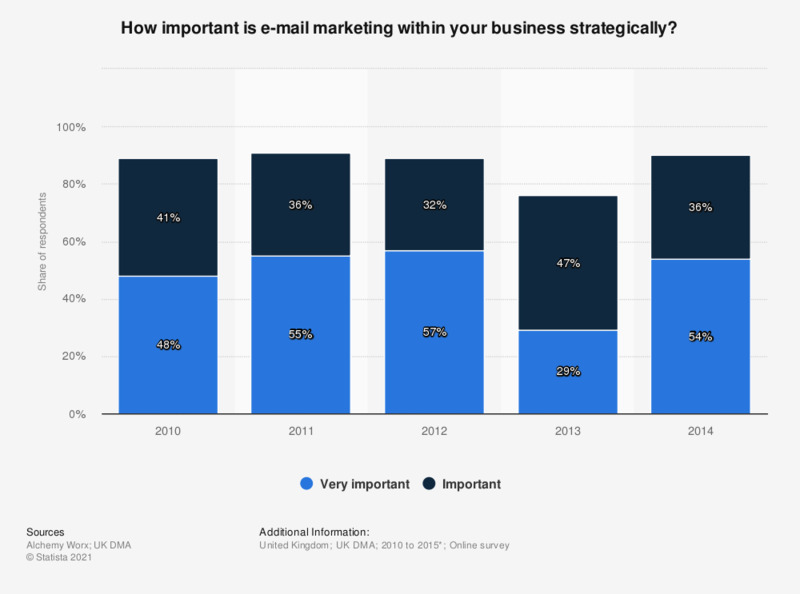 The statistic presents data on the importance of e-mail marketing in the United Kingdom from 2010 to 2014. In 2010, 48 percent of surveyed marketers stated that e-mail marketing was very important for their businesses. ** n (2012) = 161; n (2013) = 128; n (2014) = 73. Number of respondents for all years not provided by the source. Shares responding "very unimportant," "unimportant," or "neither important or unimportant" are not displayed here and account for the remaining percentage points to 100 percent.